Children's Mini Poster: Business tycoon Tony Stark dons his iconic Iron Man suit as he prepares to take down the evil of the world on this awesome Marvel comic mini poster. 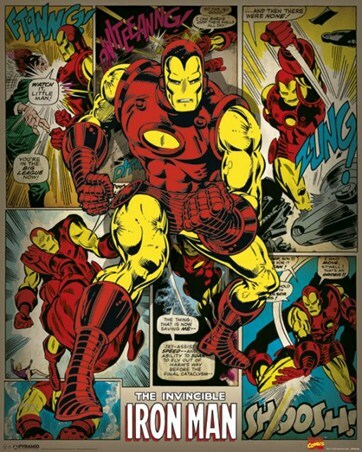 Storming through the debris, the red and yellow suit glints in the sunlight as the invincible Iron Man comes to the rescue. 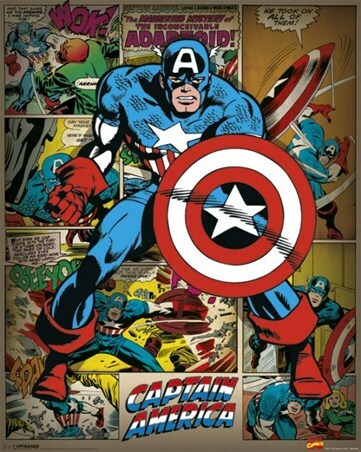 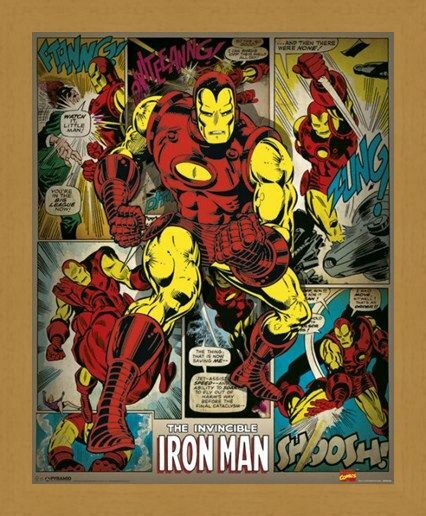 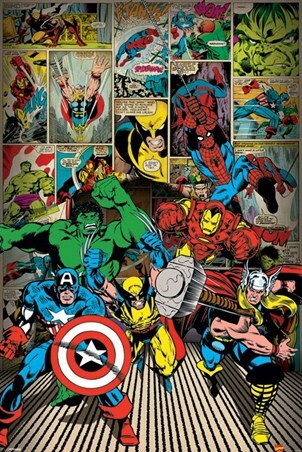 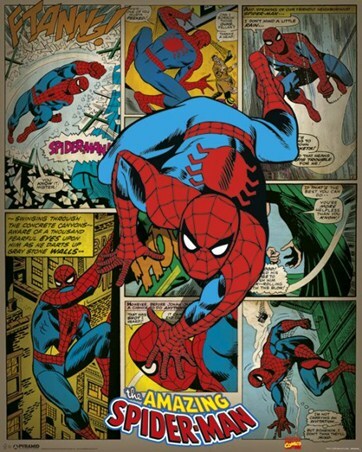 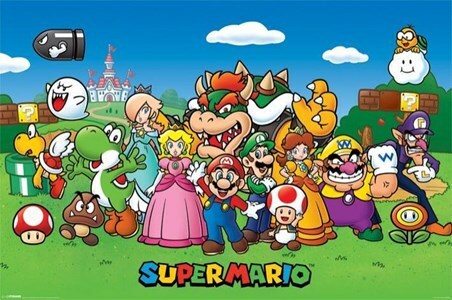 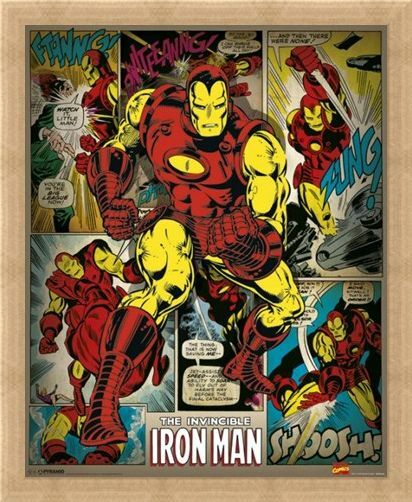 If you are a fan of the iconic super hero then why not hang this action packed poster on your wall and bring back that classic comic strip action and adventure. High quality, framed Hero To The Rescue, The Invincible Iron Man mini poster with a bespoke frame by our custom framing service.